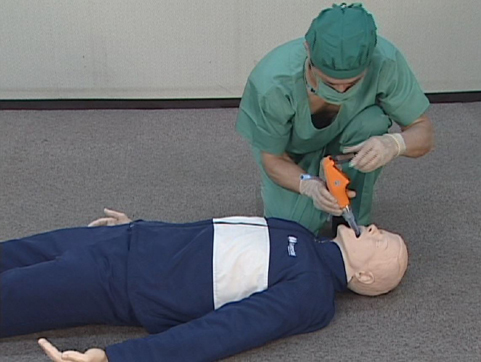 The Pentax-AWS video laryngoscope allows medical emergency professionals to perform tracheal intubation without the use of a stylet and without having to extend the patient's neck. 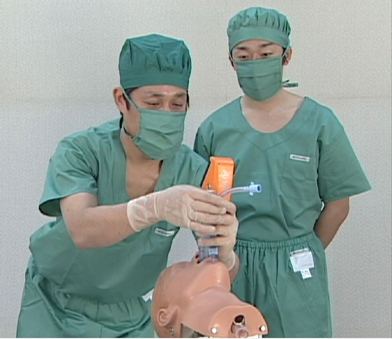 All of which reduce stress on the patient and increases procedure efficiency. 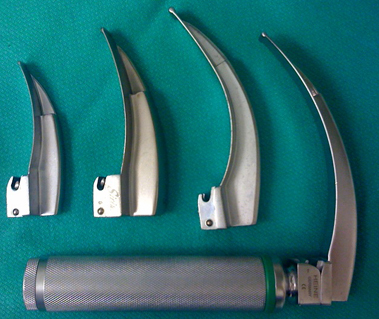 Traditionally, a stylet is necessary to intubate, and verification could only be done visually. by the Pentax-AWS video laryngoscope allows for precise intubation by ensuring correct insertion position on the monitor. 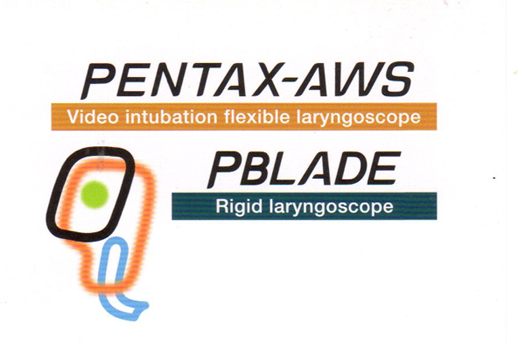 The Pentax-AWS monitor offers a wide viewing angle so the user and others can observe the intubation. 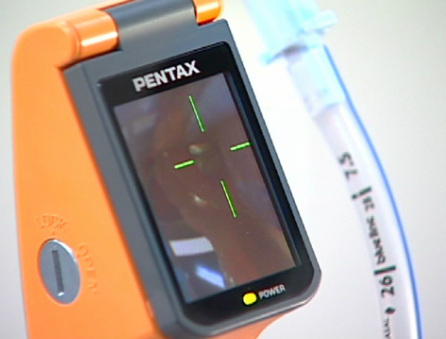 Further, the Pentax-AWS includes an output capable of broadcasting to an ancillary monitor. 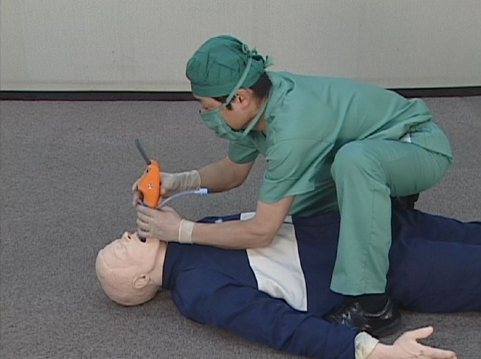 While the patient is on his back, the user may intubate from various angles. 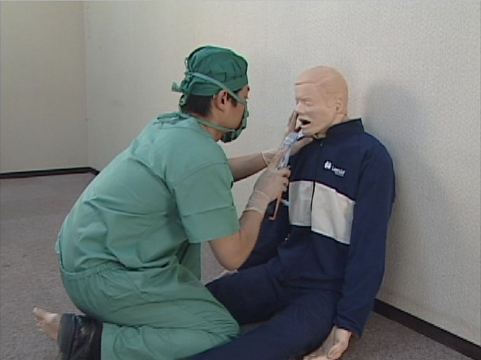 The patient is upright. 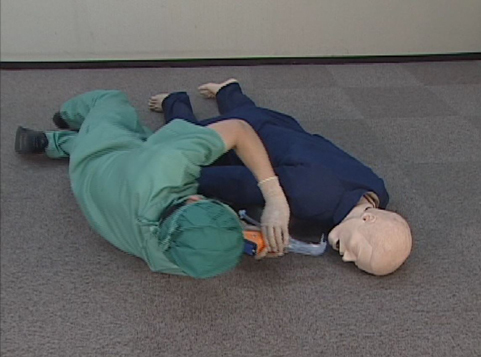 Normally this position would pose to be a difficult intubation. 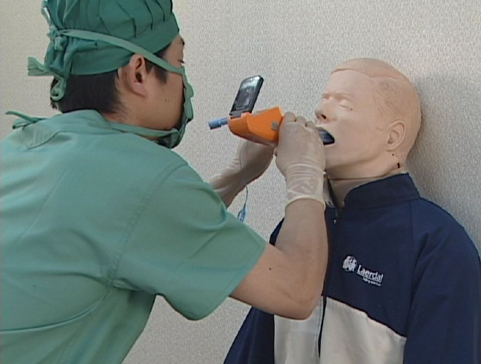 However, the Pentax-AWS allows for an easier intubation. 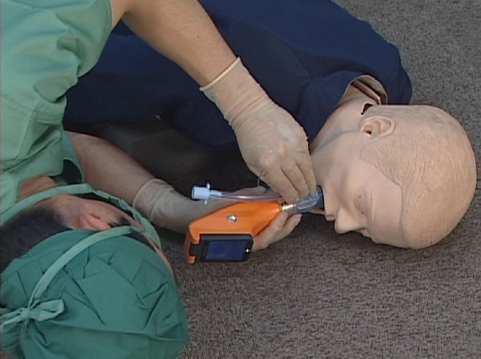 If a patient were lying face down on the floor, a proper intubation would almost be impossible. 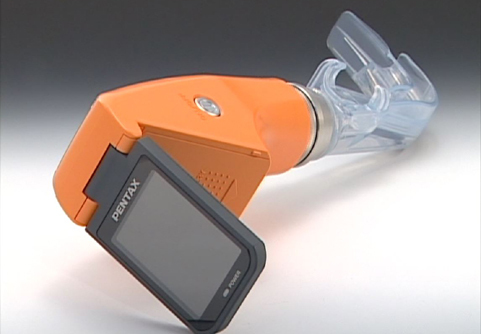 But even with a lack of light, the Pentax-AWS allows the user to properly and quickly intubate the patient without having to move him from his position. 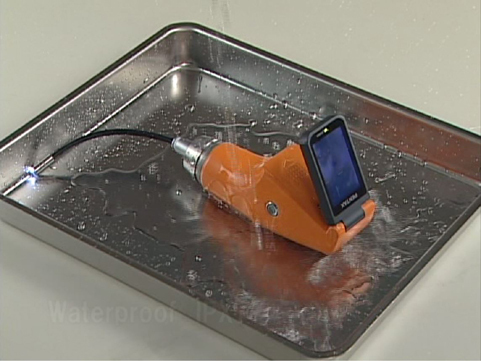 The Pentax-AWS is waterproof which allows for use in the outdoors and rain. 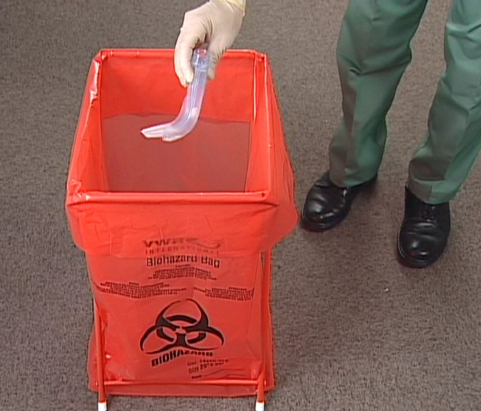 Further, the Pentax-AWS can be sterilized with alcohol or other disinfectant solution. 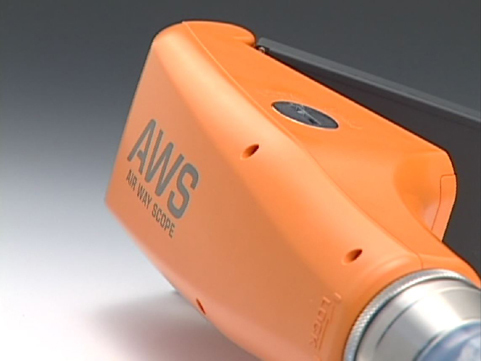 The Pentax-AWS runs on two AA batteries and allows the user to be free from needing an electrical outlet. 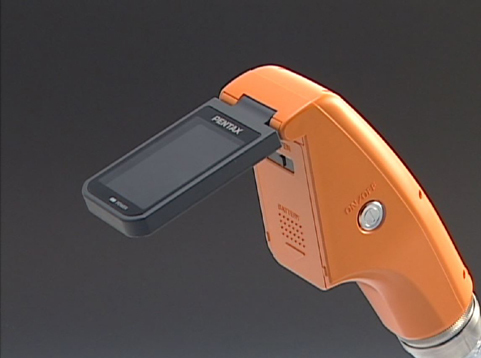 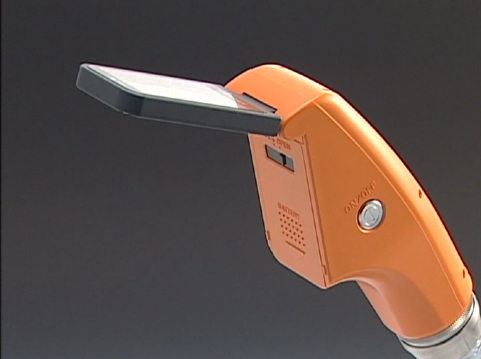 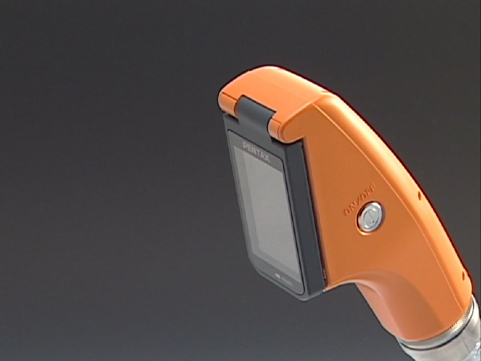 This video laryngoscope is designed to perform "on the go." 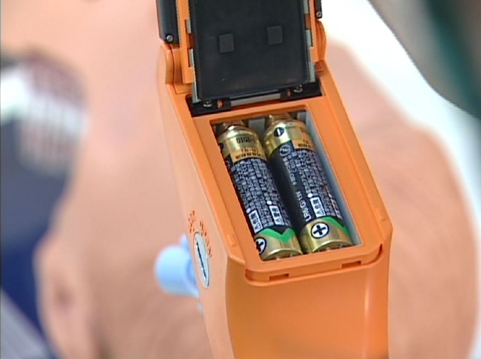 A fully charged set of batteries will power the unit continuously for about one hour.